Manual Antonio de Verona (Tony Varona) was born in Cuba. He became involved in politics and became a loyal supporter of President Carlos Prio. In 1959 Tony Varona emerged as a leading anti-Communist. He moved to the Manzanillo region where he joined up with Carlos Prio and Manuel Artime. Along with Huber Matos they planned a counter-revolution. According to Fabian Escalante (CIA Covert Operations: 1959-62) this rebellion was organized by Frank Sturgis and the Central Intelligence Agency. Varona moved to the United States and with Manuel Artime, Aureliano Arango and Jose Cardona established the Movement for the Recovery of the Revolution (MRR Party). In 1960 Artime met John F. Kennedy at the Democratic National Convention. Later he became head of the Cuban Revolutionary Council (CRC), an organization that worked with I to set up a training camp outside New Orleans in 1962. Varona also worked closely with organized crime leaders such as Santo Trafficante and Johnny Roselli. Varona was involved in several attempts to kill Fidel Castro. 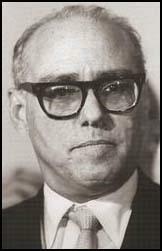 After the assassination of John F. Kennedy Varona ceased to be active in anti-Castro politics. In 1964 Varona moved from Miami to New York City where he first worked as a car salesman and the following year became a language teacher for Berlitz. Tony Varona died in 1992. During the month of June 1963, Manuel Artime, a leading political figure among the Cuban refugees in Miami, Florida, came to Fort Benning, Georgia, for the purpose of recruiting people to go to a revolutionary camp in Nicaragua. Artime informed this group that the U.S. Government was not going to do anything for Cuba and that he had obtained aid and instructors from Europe." "Help should start to be received by Artime after November 1963." "Muina is working for, or with, Artime. Muina has indicated that Cuba will not gain its liberty with the assistance of the United States, but needs to look for help from another country. Muina believes that the United States has decided to apply the principle of co-existence towards Cuba." "There is a group of officers with the Cuban Officers Training Program at Lackland Air Force Base who contemplate submitting their resignations if the United States has not done anything for the freedom of Cuba by December 1963. Many officers have indicated their desire to resign in order to join Manuel Artime who is supposedly organizing a training camp in Nicaragua. Artime has some contacts that have been undermining the present training program by spreading dissention among their fellow officers. These men have developed a recruiting campaign to supply Artime with qualified leaders for the Nicaraguan camp... It is rumored that a Latin American country is going to buy planes from England and make them available to Artime... The Samoza regime in Nicaragua has also promised assistance to Artime in the forthcoming operations against Communist Cuba." "In early August, Femandez-Martinez offered Source $500 if Source would accept a position in Nicaragua with Artime." "During the inquiry, the USARMA, Managua, called attention to intelligence reports he had furnished reporting Nicaraguan press comment on the visit of exiled Cuban refugee leaders Dr. Manual Artime Buessa, Dr. Carlos Prio Soccares, Dr. Manual de Varona... during July and August 1963." "At 1030 hours 19 November, Major Bryce, G-2 Section, Ft. Holabird telephoned... a call from Washington, D.C. on the night of the 18- requesting Jose Raul Varona Gonzalez to come to Washington DC the following day. The call was from Lt. Emeido Oliva who was second in command at the Bay of Pigs, and according to Varona, now commander of Brigade 2506. Oliva wanted Varona to come to Washington to meet with Mr. Robert Kennedy, the Attorney General." "Varona was reportedly the G2 for Brigade 2506." "Varona made no mention of seeing Mr. Kennedy." "Mr. Kennedy did confer on 17 November with Manuel Artime Buessa, Roberto San Roman, aka Roberto Peres San Roman, Jose San Roman and Enrique Jose Ruiz William Alfret. 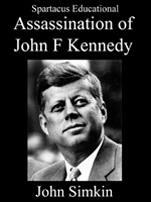 They were also scheduled to meet with Mr. Robert Kennedy on either the 21st or 22nd of November, 1963. There is no indication that Ft. Holabird student Varona was present." "This office has no information whether Mr. Kennedy is aware of Artime's alleged recruiting activity." Tony Varona is a scoundrel, hopeless. He is a scoundrel, a cheat, and a thief - only to be surpassed by Artime, who was all of those, who probably made, in addition to stealing money from us, probably made a lot of money in the drug traffic in the last few years, among other things. He is a good friend of Howard Hunt, but I see him as a rogue. Tony Varona had been referred to John Roselli for the Mongoose attempts against Castro. Varona was a man with well-established gambling and smuggling contacts within Cuba. In addition to his Mongoose activities, Varona was also of unknown operational interest to James Angleton who officially never had any involvement in Cuban affairs and most defmitely not in Mongoose or the Bay of Pigs - officially that is. Hunt's sequestering of Varona along with other CRC leaders may have been key to the failure of the Bay of Pigs which was planned to coincide with Castro's death and a leaderless Cuba. Roselli kept going back to Varona and he was his key connection to the Miami exiles, especially those with prior connections to the gamblers like Victor Hemandez and Trafficante's former bodyguard in Cuba, Herminio Diaz Garcia. In his CRC leadership role, Verona would have to have been associated with David Phillips for media and propaganda purposes. Interestingly enough, Varona officially admitted to only knowing E. Howard Hunt, Frank Bender and Bernard Barker. After his "rebellion" against the Agency in 1963, Varona fell back on the gambling network for his funding. 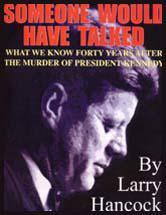 It seems reasonable to speculate that both Varona and Trafficante may have heard rumors or gossip in regard to the Kennedy conspiracy. Certainly both had connections to the two individuals whose remarks suggest that they were associated with the conspiracy - John Roselli and David Morales. Antonio de Varona and other senior members of the CRC were highly frustrated with Kennedy policy. When the Kennedy Administration discontinued support for the CRC in 1963, its head, Miro Cardona accused Kennedy of "breaking promises and agreements" and stated that he had become a "victim of a master play by the Russians."